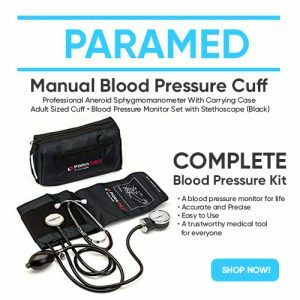 There’s no need for you to waste money and time when you purchase this Manual Blood Pressure Cuff by Paramed. The Paramed aneroid sphygmomanometer kit will arrive full, accompanied by a high quality, professional stethoscope that will help you carry out the task in a proper and professional way. It is equipped with pin stop movement, along with an extended universal blood pressure cuff (22-42cm), made of wear-resistant materials, and is a solid guarantee of its durability. With its metal gauge housing made of zinc alloy and professional stethoscope, you will certainly be getting accurate and precise measurements, readings that you can rely on. The clear dial makes reading the result easy. 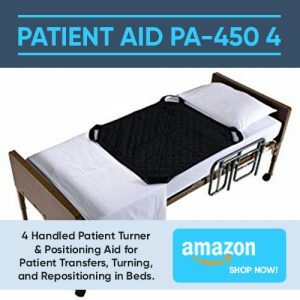 The 4 Handled Patient Turner Patient Aid PA-450 4 handles patient turning, transferring and positioning aid is designed to minimize the effort needed to move, turn, or transfer a patient. Using ergonomically inclined handles for gripping, caregivers can direct patients to the desired position without having to lift them which can cause certain injuries. The triple layer padded nylon provides strength and durability and it is gentle on sensitive skin. It can accommodate a wide variety of different size patients with its 400lb weight capacity. This patient aid is very easy to clean and comes with a 1 year warranty. ThePharmacy is the best place to get all of your Pharmacy needs and much more. You can get the best in health, baby products and much more. At ThePharmacy believes your shopping experience should be just a breeze. They want to make your life easier. They also love giving our appreciated customers exclusive offers and most importantly outstanding service. The Pharmacy’s tem of buyers are constantly on the lookout for the best products. Some of the most life changing products come from small businesses with a real passion for making a difference to people’s lives. Sign up for their Newsletter, check them on Social Media or read their blog to keep updated on their latest products and health information. Total Diabetes Supply is your one stop shop for all of your diabetes supply needs. Total Diabetes Supply offers discount diabetes supplies at up to 65% off retail prices. It offers glucose monitor kits, blood pressure monitors, glucose control solutions and a whole lot more. You can get your orders delivered within 24 hours. Their knowledgeable customer service is available to assist you with whatever questions that you have, 100% satisfaction guaranteed. They offer free shipping for orders over $99. Bangood is an international e-commerce retailer selling almost everything you may need or think of. It has everything from the latest trends in fashion to stylish and functional car accessories. It has a wide range of more than 150, 000 products of different categories, like smartphone accessories, smartphones, electronics, RC toys, LED lights, clothing, beauty products, jewelry, watches, and more. Bangood ships products to almost all the countries in the world and we offer standard shipping for most of them. It aims at constantly reducing the fees our customers may have to pay if they can not or want not to select Standard Shipping. In order to guarantee that their products meet your quality standards, all products are tested before arranging their shipment. Quicklens offers a great selection of contact lenses from popular brands like that of Acuvue, Focus, Fresh Look, Soflens, Biomedics, Voda Clear and Maxi Eyes. When you place an order with Quicklens, please make sure to choose the prescription that was given to you by an ophthalmologist or qualified physician in Australia. Cover-More Travel Insurance can help protect your financial future. More than 2.2 million travellers each year trust Cover-More to protect their trips at home and abroad, and it’s easy to see why. With over 30 years of experience and many millions of travellers served, they know how to help you when you need it the most. Cover-More has been protecting the travel dreams of Australians travelling domestically and internationally for 30 years. Cover-More has approximately 40% market share* of the travel insurance business in Australia. It’s a strong position and one we intend to grow further. Aussie Health Products is an online family business offering a large range of health food, organic beauty products, natural household products and much more. Just like you, they care about their health and well being. All their products are in compliance with Australian regulatory body, The Therapeutic Goods Administration, who is regarded worldwide as one of the strictest. In addition to this, all Aussie Health Gluten-Free products meet the Australian standards and all Certified Organic products are certified by credible bodies. HealthPost is New Zealand’s favourite online supplier of natural health, skincare and household products – delivering to Australia for over 20 years. Among their best sellers are Vitamin D supplements. Vitamin D is required by our bodies to regulate a number of important functions, much like a hormone. Vitamin D supplements usually contain Vitamin D3 (Cholecalciferol). Vitamin D is one of the fat soluble vitamins and in its bioactive form (1,25 D) is required by our bodies to regulate a number of important functions, much like a hormone. It is an essential factor in calcium absorption, maintaining normal blood levels of calcium and phosphorus, bone formation and strength, muscle integrity and immune function. It has a significant role in reducing inflammation. Most importantly, 1,25 D controls the development of many serious diseases by its proven role in inhibiting the conversion of healthy tissue to diseased tissue. Scrubs & Beyond is the largest supplier of healthcare apparel and accessories in the country with over 140 stores nationwide. They cater to discerning scrub shoppers and go beyond any scrub store in today’s market because they transform an otherwise strictly functional endeavor into a true experience. We are inspired by people who care for others and we want to exceed the expectations of those who do this vital job. With innovative options, from antimicrobial fabrics and well-placed pockets to a comprehensive selection of medical accessories and footwear, any medical professional can find everything they need while enjoying a superior shopping experience. Scrubs & Beyond associates are well-versed in understanding the unique needs of each caregiver, helping them find the right set of scrubs with the features they need to perform their best. Whether you shop with us in store, through our catalog or online, you’ll find merchandise from top industry labels, including their very own Beyond Scrubs collection.